Five-spoke style. One-piece, cast construction. Sell in sets of 4. Ten-spoke style. One-piece, cast construction. Sell in sets of 4. Â Â Â * Backspacing: 5.90"
Â Â Â * Weight: 20.8lbs. 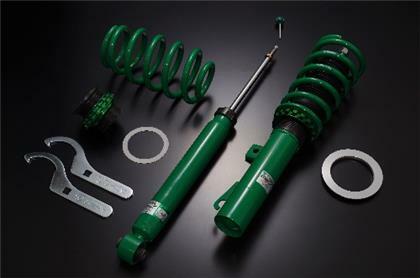 Yonaka Motorsports street coilovers for the Acura RSX 2002-2006. Ideal for street cars and weekend track days. Fully Threaded Mono Tube Shock Absorber. Inner bump stop to prevent damage caused by rapid compression impacts. 2002-2007 Acura RSX 2dr G Force Carbon Fiber Hood. ViS Carbon Fiber Hoods are made from the finest carbon fiber available. 2002-2007 Acura RSX Invader Type 6 Carbon Fiber Hood. ViS Carbon Fiber Hoods are made from the finest carbon fiber available. Seibon GD Style Carbon Fiber Front Lip attaches to your factory bumper to add style and give the car a lower more aggressive look. TECH TIP: Includes everything for an easy installation.